Background screening for employment or retention is almost universal, but screening programs within organizations are not all equally effective. If an employer treats background screening like a task to be checked off the list, it can easily fall short of delivering the kind of performance enhancement it could deliver, and may expose the employer to negligent hiring or worse. When your background screening program is designed as a fully-integrated component of managing human resources, it can generate incredibly strong returns on investment by raising the human component of productivity. While the more productive approach requires addressing a complex web of social and legal issues, in the end it delivers far-reaching benefits. 1. 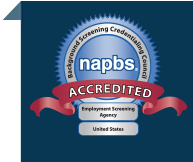 Does your background screening program promote fair hiring practices? This test is one of the themes of a screening program. Its objective is to help the organization find the right people based on job requirements, avoid the ones who do not fit, and promote a secure, confident workforce. To anticipate compliance, the program screens people using criteria that are job related and a business necessity, and avoids arbitrary distinctions. The program emphasizes the use of evidence and process, not intuition or the “gut feeling” check. 2. Is the program integrated with existing onboarding processes? Is it easy to implement? Background screening typically occurs only after you have winnowed down the candidates to those you will consider seriously. You run the background checks as the final step in vetting, and perhaps with a contingent offer of employment. At this crucial stage, your candidate is eager to get going and the last thing you want is a clunky onboarding process that interrupts the motivation. Your background screening can be integrated with automated enrollment processes so it flows naturally and maintains important compliance requirements. 3. Does the program deliver accurate and insightful data? Simply put, the quality and relevance of the background search results determine whether the screening is useful or not. DIY social media or online ‘database’ searches are often of dubious value, and even worse, may lead to serious errors in judgment. Professional screening agencies have access to the full range of data needed to produce the best candidate evaluations, customized for the job role in question, and remain in compliance with applicable laws. 4. Is it compliant with federal, state, and local law? The body of employment law is designed to promote fair hiring practices that do not discriminate against classes of applicants, and to protect their rights in the process. Employers still have the right to evaluate candidates, and reject the ones who are unfit , but the process through which they may do this is very prescriptive and detailed. The Fair Credit Reporting Act, the Equal Employment Opportunity Commission, and the proliferating number of “Ban the Box” laws in state and local jurisdictions place very specific restrictions on hiring practices. These rules have been the basis for many legal actions, so they are not just for paper compliance. Employers need to design screening programs that comply in practice. 5. Does it support your corporate risk management goals? At its core, the background screening program is part of your risk management strategy, intended to identify and mitigate human risks. These risks will be shaped by organization function and sensitivity to cost, as well as specific role-related factors that may add to risk for certain jobs. Like all risk management, the screening program will rest on a risk assessment based on role-related factors that will inform the level of effort and focus of background screening. 6. Does it deliver a measurable ROI? The ultimate test of a screening program is whether it helps the organization save money, or avoid costs. Business losses to theft, fraud, employee turnover, and catastrophic events can be mitigated with effective background screening. Research shows that, on average, screening programs are worth their weight in gold. To be successful, your employment screening program must be able to pass these tests and more. To help, we’re proud to introduce our new Essential Guide to Employment Screening. The guide is full of advice to help you run an efficient, effective, and compliant program. Check out the guide here.